A jury of nine men and three women spent five hours and 29 minutes considering their verdict in the trial of Joseph Hillen of Glendesha Road, Forkhill, Co Armagh. Hillen had pleaded not guilty to the murder of Martin Mulligan (53) at Carnmore, Balriggan, Dundalk, Co Louth on 28 September 2015. From the outset of the trial he admitted to the stabbing, but said the deceased pulled the knife on him. The foreman of the jury said the decision was a majority verdict with ten agreeing and two disagreeing. Justice Eileen Creedon thanked them for their service and set a date of 3 December for a sentence hearing. Prosecution counsel Patrick Treacy SC said the victim’s family will make a statement. Mulligan’s bloodied body was found by three women near his taxi in the early morning, a few hours after his last drop-off of the night. Gardaí launched an investigation and Hillen came under suspicion because he had been chased hours before Mulligan’s death from Dundalk by gardaí. He evaded the patrol car by speeding towards the border. Forensic analysis of blood on the road near Mulligan’s body and DNA found on the dead man’s jumper confirmed that Hillen was present when the stabbing happened. A green and yellow work glove with Hillen’s DNA was also found nearby. When he first spoke to gardaí in 2015 and then following his arrest in 2016, Hillen said he never met Martin Mulligan and didn’t know what happened. Earlier this year, he gave a voluntary statement to gardaí in which he admitted to the stabbing, but said he did it in self-defence. He told gardaí that he was driving by land belonging to his friend Dermot McGeough in the early hours when he saw Mulligan and believed he was illegally dumping rubbish. McGeough told the trial that Hillen would often drive by the site and let him know if he saw any rubbish dumped there. Hillen often helped him to clear the site. Hillen told gardaí he confronted Mulligan and a fight broke out. He said the taxi driver pulled a long, stainless steel, kitchen knife on him but Hillen “flipped the knife” before Mulligan started to punch him repeatedly on the back of the head, pushing him down to his knees. From this position he said he “jabbed out” twice with the knife, inflicting the fatal wounds. 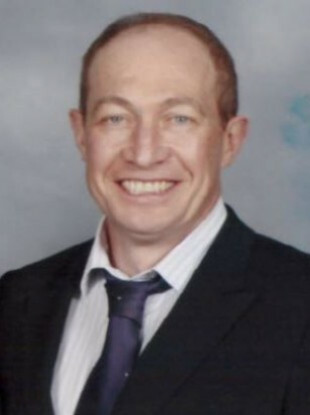 Acting State Pathologist Dr Michael Curtis said this description would explain the “unusual” position of the wounds in the lower abdomen and thigh. Most fatal stabbings, he said, were to the upper body. The abdomen wound went to a depth of 22.5cm and severed the abdominal aorta – the main artery in the body. The second stab wound went through the thigh slicing the quadriceps muscle and severing the femoral artery. He described it as a “through and through wound” with the blade entering on the outside of the thigh and exiting on the inside of the leg. Either wound, he said, would have caused Mulligan to bleed to death within minutes. Hillen’s defence barrister Brendan Grehan said the evidence showed that the deceased pulled the knife and that his client was acting in self-defence. He said his client’s account was backed up by the pathologist and by evidence that Mulligan kept a knife in his car. The prosecution, led by Patrick Treacy SC with John Berry BL, argued that Hillen’s story was not credible and pointed out that he repeatedly lied to gardaí in his initial statements. Regarding the knife in Mulligan’s car, the prosecution pointed out that his wife Grainne Mulligan described it as a small paring knife with a plastic handle rather than a large, stainless steel kitchen knife. While she made a statement saying that the knife was in the car, she later changed that statement to say that her husband kept it in his coal truck. Justice Eileen Creedon told the jury that they should find Hillen guilty of manslaughter if they thought it reasonably possible that the accused believed he was acting in self-defence but used excessive force. Murder, she explained, could only arise if the prosecution had proved beyond reasonable doubt that he did not believe he was acting in self-defence. Email “Man found guilty of manslaughter of Louth taxi driver ”. Feedback on “Man found guilty of manslaughter of Louth taxi driver ”.